Celebrate a great birthday with some traditional birthday music. This one-of-a-kind Musical Birthday Candle is perfect for bringing birthday cheer home! 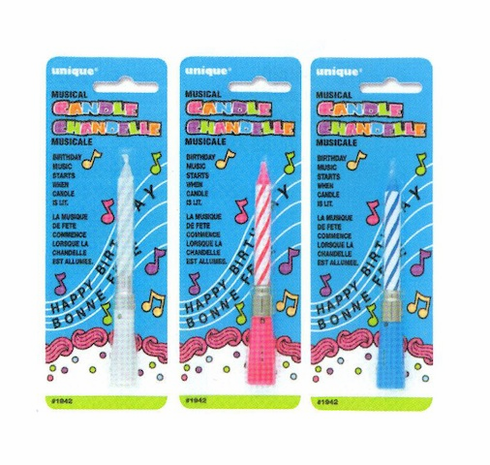 Each package includes one Musical Birthday Candle of an assortment of colors. Each candle measures 4.5 inches in height. Price is per candle.